Taking responsibility has always been an important part of the corporate culture at Kärcher. Alfred Kärcher and his wife Irene were of the firm belief that sustainable economic success is only possible if social concerns are taken into consideration. The third pillar for sustainable company development, in addition to economic and social aspects, is environmental protection. 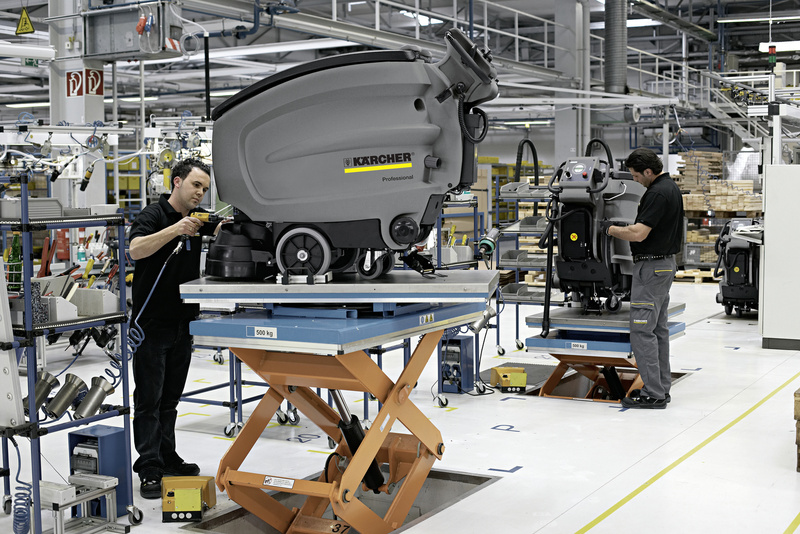 This has played a key role at Kärcher since the 1970s. Guaranteeing the continued existence of the company through successful products and an honest and reliable partnership with our customers, employees and suppliers. Creating attractive working conditions and commitment to our social responsibility as good corporate citizens. Reduction of the ecological footprint of our business activities and efficient use of resources. Sustainability management serves the continuous, systematic improvement of the company's sustainability performance. Here, actively managing sustainability means recording requirements from the business environment — for example from customers, the authorities and environmental associations — evaluating their relevance for Kärcher and preparing targets for improvement. We maintain an active dialogue with our business environment. In 2013 we conducted a worldwide survey of our internal and external stakeholders, such as employees, customers and suppliers, on the topic of sustainability. Our sustainability targets for 2020, which resulted from the survey, are designed to meet the requirements of our stakeholders. Our targets relate to six fields of action for sustainability. Prizes and awards that Kärcher has received in recent years are confirmation for us that we are on the right path when it comes to sustainability. Kärcher won the German Packaging Award 2010 in the sales packaging category with the Spouted Pouch version of the cleaning agent folding pouch. In May 2011, Alfred Kärcher GmbH & Co. KG was the ninth company in Germany to be named a "bicycle-friendly company" by the General German Bicycle Club (ADFC). Kärcher received the ARBEIT PLUS award for above-average performance in the area of personnel management.